das Blog: Help the European Wild Cat! 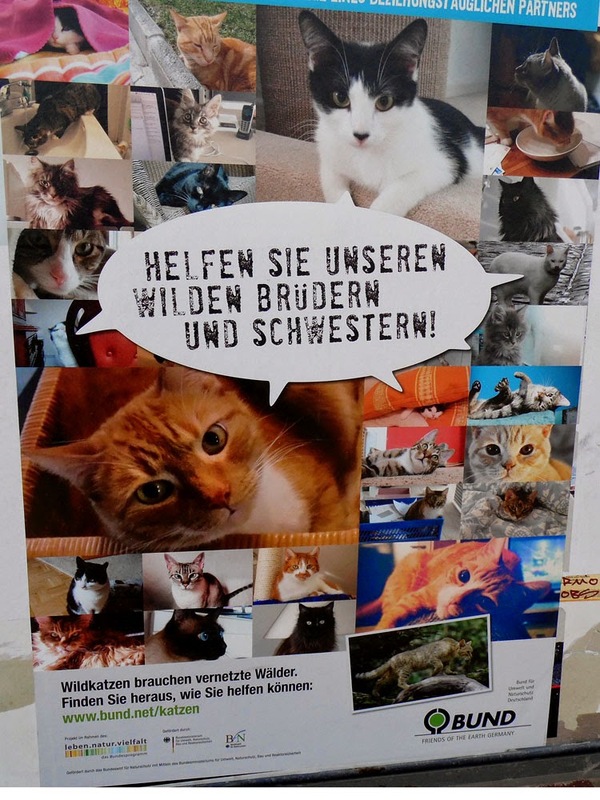 There is a totally cute poster appearing on the S-Bahn platforms that brightens up my rail journeys, and it is an appeal by Friends of the Earth to help preserve the forest environment for European wild cats. "Help our wild brothers and sisters!" it says, and though it looks like someone's first attempt at using Photoshop from stock images found on Google it is no less effective at pulling on the hearts-strings of cat lovers for that. If you want to find out more about helping wild cats, then follow this link to Friends of the Earth Germany.